When you shut off the MDX-540 you will always hear a click. On the Z-Axis the MDX-540 has a solenoid that pushes against the coupler between the motor and the ball screw. What this does is it keeps the spindle head from just lowering down. Without this feature/solenoid when the motors are disengaged or lose power than under the weight of the spindle, the z-axis would just drop to the table. When you start the machine and the motors are engaged the solenoid is activated. Which basically pulls it back, it is spring loaded. Then when you shut off the machine it releases and springs forward and holds the z-axis in place. Once this item goes bad the spindle will drop to the table. Another issue that is common when the solenoid goes bad is it has the opposite effect it is never fully engaged and so it rubs against the coupler causing the z- axis to have Z overload errors. It basically makes the z axis have to work harder to turn the ball screw. This is an easy fix you just need to order the new solenoid and replace it. 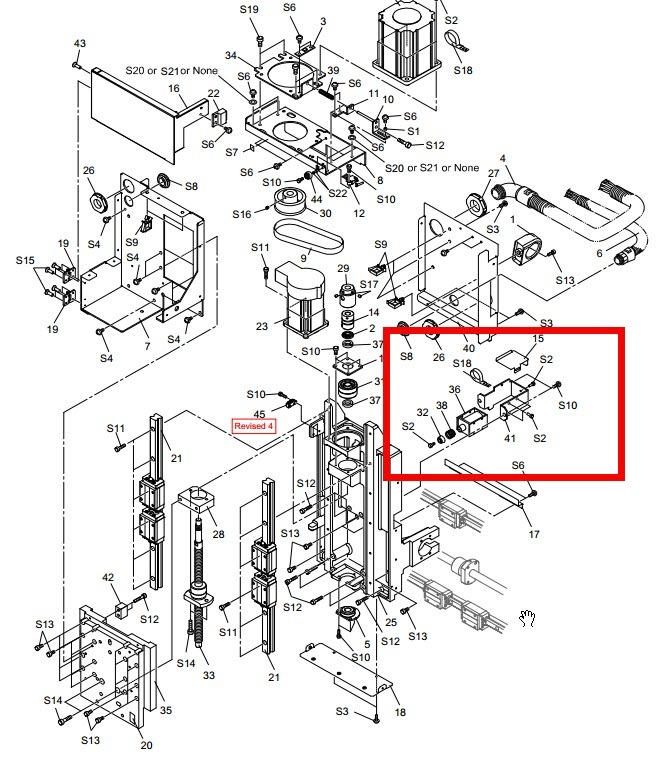 It is located behind the Z Axis just above the cover on the machine. it is covered by a little metal cover with 2 wires running into it. You will just remove the old one and replace with a new one and plug in the wires. This takes about 10 minutes. Here is the diagram of the solenoid assembly. I typically just recommend buying the solenoid and spring if you think the spring is bad. But if you remove yours and the plunger or rubber tip is damaged you will need it also.